Strangely, I encountered two businesses this week whose social marketing mistakes exposed their lack of business acumen. They were both using social marketing as part of their plan BUT neither really understood how to marry it to their business. No matter how you slice it, if you’ve chosen to add “social marketing” to your mix – you’re still marketing!! The normal rules still apply. The people at Dinosaur World in Cave Creek, Kentucky provided my first example of bad social marketing decisions. I had purchased tickets to Dinosaur World for myself and my kids on Groupon.com. You may not consider Groupon to be social marketing, but know that it’s growth comes almost entirely from people in the social sphere. I had no trouble with Groupon or the people at Dinosaur World on this trip. In fact, they were great. What was odd was the conversation I had with Dinosaur World about the value of Groupon. The extent of their Groupon followup was a sheet where they marked off the names of people who used the coupons (to prevent fraud). . . and . . . actually that was it. That was it. They didn’t know if Groupon was providing to them the database of e-mail addresses. They weren’t tracking how much Groupon users were spending in the gift shop. They didn’t provide a coupon or flyer asking us to come back. . . nothing. It was almost as if the idea of Groupon was a novelty. My second dealing was truly social marketing gone awry. 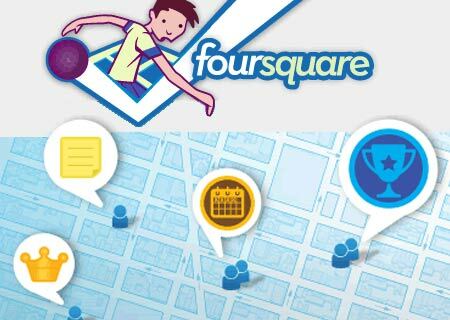 At my local Daily’s Convenience Store, I stopped in to get a soda and noticed the Foursquare symbol in the window. Hmmm. . . So I checked in on Foursquare and asked the attendant if there was a Foursquare special. By the way just because these marketing mistakes exposed a weakness in their overall strategy, doesn’t mean I didn’t receive great customer service – nor does it mean they lost me as a customer. Anyway, he was quite excited to get out their book and see what the special was. I believe it was a free $.99 soda. Yay! That’s what I went in to buy. He then asked what the password was. I looked at my Foursquare checkin, noticed I had also just became the Mayor, and showed it to him. “Foursquare isn’t giving me a password”, I said. He said “well, I’ll need the password for the special”. Now the notebook is open so I can see the password plain as day, but I didn’t want to just fake that I got it from Foursquare. Then he said something like “. . .you get the password when you check in on Foursquare in Facebook and then it’s on the Facebook page”. Hmm. . . yep. Someone at Daily’s didn’t quite understand how to explain it to the clerks. After all the time spent putting the program together, the value was lost on me because the clerk didn’t get it. We argued for 10 more seconds about it, but ultimately I bought the $.99 soda I was excited to get free. The lesson is simple. Social Marketing is Marketing. Just because it’s new and trendy doesn’t mean you get to skip the education. 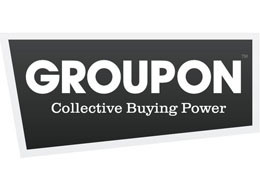 It doesn’t mean you can do Groupon and not see how to benefit on the other side. We’re talking about businesses here – not romper room and not your 7th period study hall project. If social marketing isn’t making you money – maybe there’s something wrong with your business strategy – not my Facebook habits. Think about what kinds of problems social marketing mistakes will have exposed.